At most schools, three consecutive 9-1 regular season records would be cause for celebration. Homewood is not most schools. Homewood reached the second round of the Class 6A playoffs in 2014 before losing to Gardendale for a final mark of 9-3. A similar record – or better – should be well within the reach of the 2015 Patriots. That should happen. Leading the offense will be senior quarterback Carson Griffis, a three-year starter who is an effective passer, runner and field general. Joining Griffis in the backfield is senior running back Derrick Underwood, who at 5-10, 185 pounds, rushed for more than 1,000 yards last season. Berguson has a bit of rebuilding to do in this offensive line as three starters have graduated. Center Cameron Moody, a 6-2, 250 pounder, is a three-year starter and will be the anchor. Senior Mason Thomas also returns. Front runners for the other slots are Kennedy Clark and Terry James. Clark and James weigh 255 and 300 pounds, respectively. “I’ll make sure we have a good offensive line,” said Berguson, who coaches the position himself. Cameron Wood will handle placekicking duties for Homewood, while Griffis will be the punter. “Having our quarterback as punter should give our opponents something else to think about,” Berguson said. The Patriots’ greatest strength may be their defensive unit. A man to watch is 265-pound senior Griffin Gentry, who made more than 100 tackles from the defensive end post in 2014. Already committed to Troy University, Gentry will cause a myriad of problems for opposing offenses. Homewood’s other defenders could easily be just as stout. Senior Tobbie Taylor and junior Antarius Mitchell have star quality at outside linebacker, and senior Nick Dutton calls the defensive formations from the inside spot. As usual, the Patriot secondary should be experienced and talented. Waymon Green, coming off an outstanding spring practice, is projected at cornerback. Griffin Rivers and Jake Burdeshaw could be two of their region’s finest safeties. Homewood will begin its second season in the Alabama High School Athletic Association’s Class 6A Region 5. Berguson said he didn’t see much difference between last year’s new classification and previous seasons. Patriot fans will learn a lot about their team in the early going. 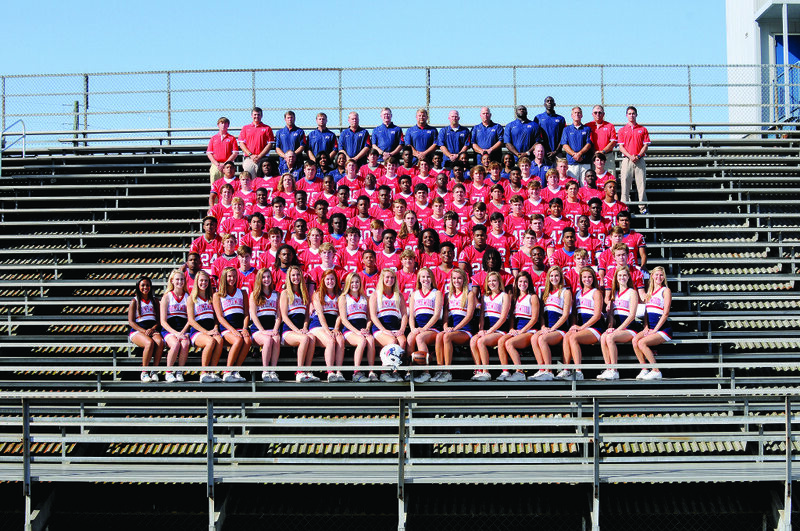 Homewood opens against Class 7A’s Vestavia Hills, a team it hasn’t beaten in a decade. 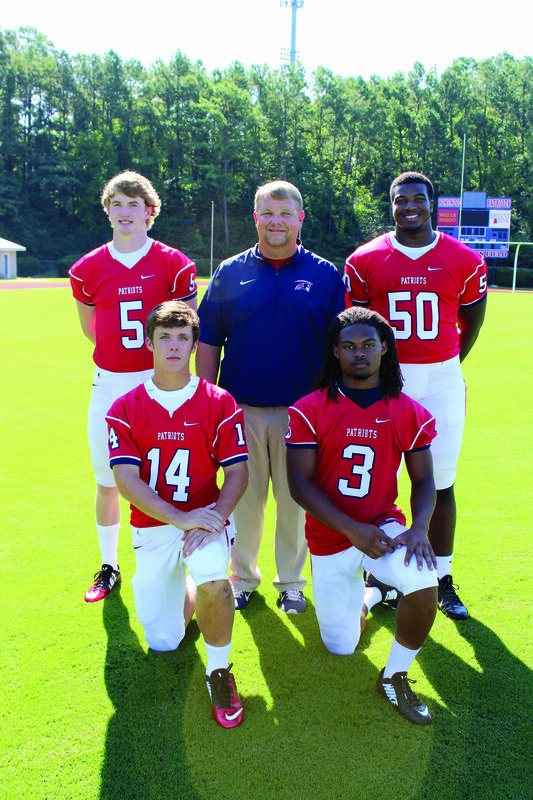 Then the Patriots face key Region 5 rivals Pelham and Briarwood on consecutive Friday nights. An early 2-0 start in region play could put Homewood in the driver’s seat, but don’t tell that to the coach. Berguson also believes Homewood’s football tradition – which includes six state championships – is an important part of his team’s makeup. If everything breaks right, more hardware could be coming to the Patriot trophy case in 2015.